Facebook bidding has always been an elusive part of advertising, but it doesn’t have to be as hard as it may seem. Facebook bidding has always been an elusive part of advertising, but it doesn’t have to be as hard as it may seem. Here are the key points that you need to know about bidding for Facebook ads and when manual bidding is better than automatic. There are four different ways to optimize your Facebook ad delivery and 15 different campaign types to choose from, ultimately allowing for 60 different ad combinations (and this before we get to manual vs. automatic bidding). The three major factors that I listed above all run in tandem in campaigns. Your end goal is usually pretty self-explanatory (brand awareness, sales, etc.). Your audience could be a remarketing pool, a customer-relationship-management list, a lookalike audience, etc. Finally, your campaign could be an evergreen one, a holiday sale or perhaps brand awareness. If you are looking to build your remarketing pool in an evergreen campaign, you will want to optimize for “Link Clicks to Your Website” and let Facebook do the automatic bidding for you. If you are looking to broaden your local awareness, you will want to optimize for “Daily Unique Reach” to get your ads in front of as many eyeballs as possible and let Facebook do the automatic bidding for you. If you are looking to drive sales with a larger audience–say 1 percent to 3 percent lookalike audience of website clicks–you will want optimize for “Conversions” and then test automatic bidding vs, manual bidding in an A/B test. You should manually bid off of what a conversion is worth to you. If you are looking for straight sales with a smaller, remarketing audience, you will choose one of two things–“Impressions” or “Conversions”–and then manual bid based on the suggested bid that Facebook provides. I usually place my bids at the top one-third of the suggested bid, but you should test this out on your own. If you have a holiday sale–say Memorial Day or Black Friday–you will have some stiff competition for ad space and, therefore, you will need to be a bit more aggressive. During these sales, you will more than likely be remarketing to people that already know your brand, like your CRM and website visitors, so you want to get your ads in front of their eyes as often as possible. 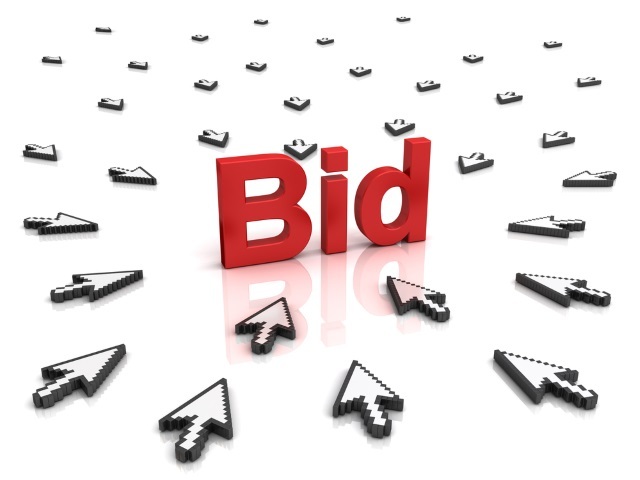 With these types of sales, it’s best to optimize for “Impressions” and manual bid more than the suggested bid. Why this tactic for holiday sales? It all comes back to the amount of competition. Keep in mind that there are companies that spend millions of dollars advertising on Facebook any given month. You will never beat them if you go toe to toe with them on manual bidding, but do you know who you will beat out with manual bidding? Your real competition–the small and midsized businesses that are making the mistake and still optimizing for conversions when the audience they are targeting is likely to convert anyway. That is who you will beat with this tactic. Implementing these five Facebook bidding tactics will allow you to run successful campaigns no matter what your end goal, audience or campaign.